The Database Monitor is really two monitors - the Database Server Monitor, and one or more Database Monitors. Currently Microsoft's SQL Server is the only database supported. The Database Server Monitor is always created first, and it is used to create individual Database Monitors. After a valid connection string is entered, the list of databases on the database server are displayed. 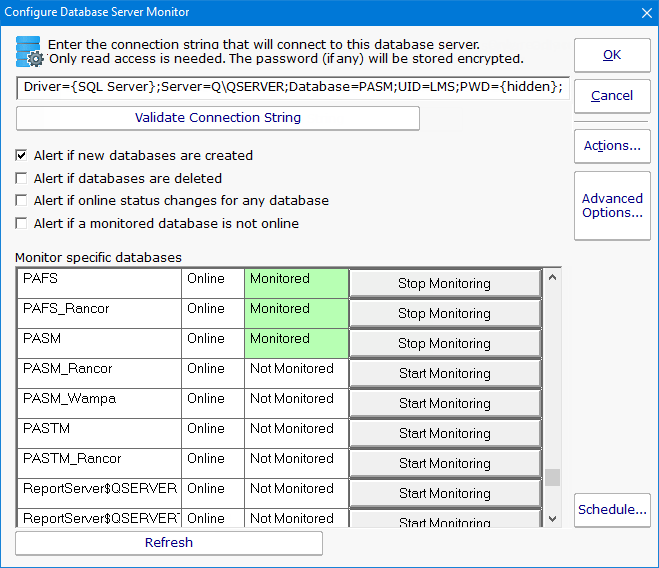 This monitor also shows which individual databases are being monitored, and lets you start or stop monitoring those databases via a Database Monitor. 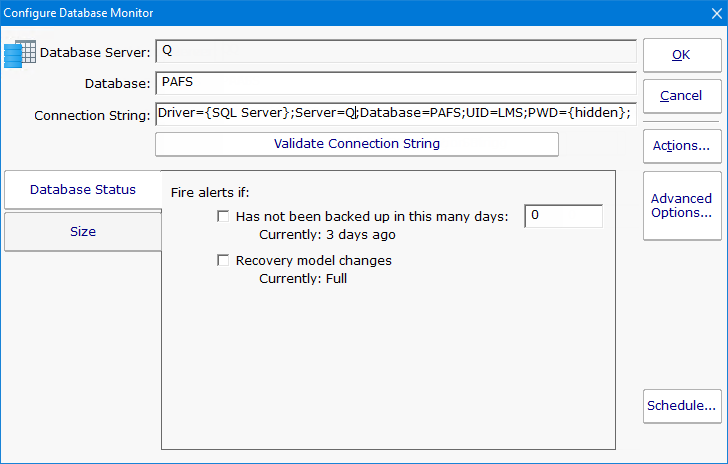 When you start monitoring a new database, a Database Monitor is automatically created. After it is created, you can go straight to the Database Monitor to edit the configuration or even delete the monitor. 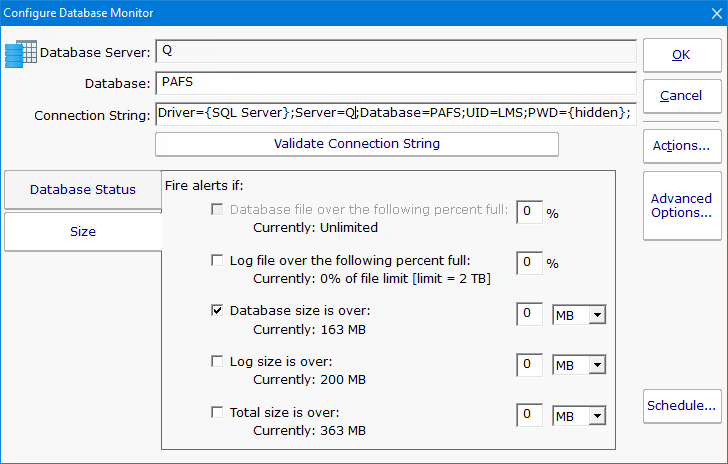 The connection string is automatically generated for you based on the connection string used in the Database Server Monitor above. You can edit it as needed. The Database Monitor has two tabs that control what it will watch. It can watch and alert on the status which involves the database's backup and recovery model. To watch that the database itself is up, use the Database Server Monitor above. The other tab lets you monitor the size of the database and its transaction log.